This was actually the second time I had attempted to collect these coins. A few months back I heard about this new store opening in AC and when I tried to get there it was just not meant to be. I didn’t have any cash on me and all the Casino parking lots would only take cash, I tried to park on the street but ran into traffic everywhere I went with no available parking spots. The lot for the store was full and with my temper flaring at this point I just decided to head back home. But this time around I had a pocket full of cash just in case. Now I will say for a non hunter/fisherman I’m just in awe of this place. 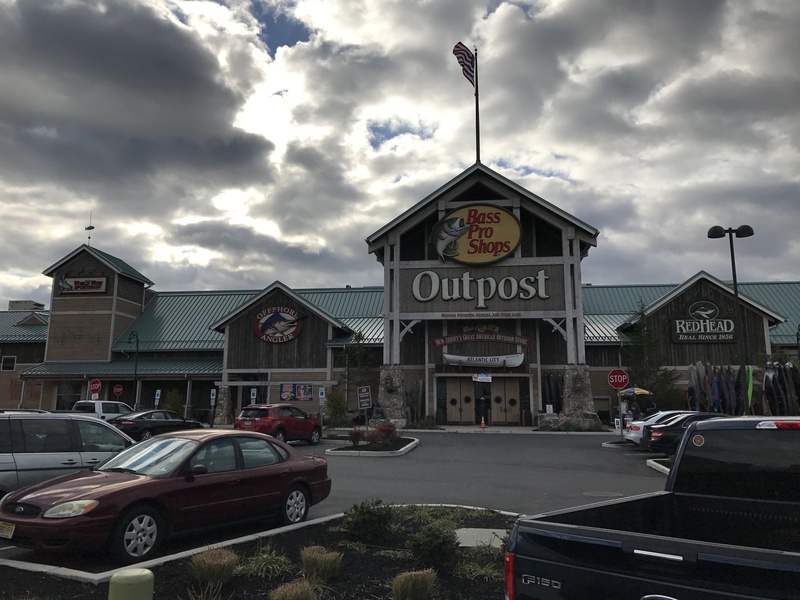 This is my second store and they are very similar but still unique in their own way. 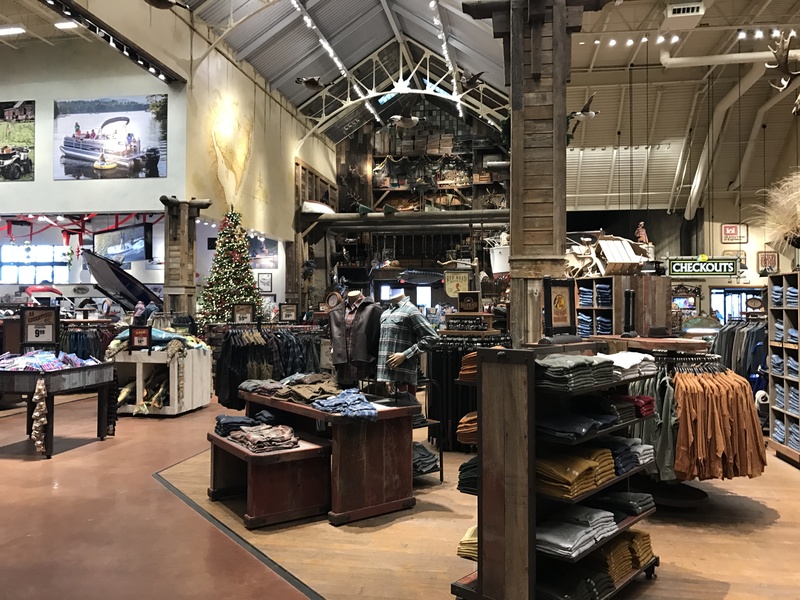 There are two floors of clothing, fishing gear, camping gear, boats, and on and on. I was only planning on stopping in to use the penny machine but ended up wandering around for over an hour. 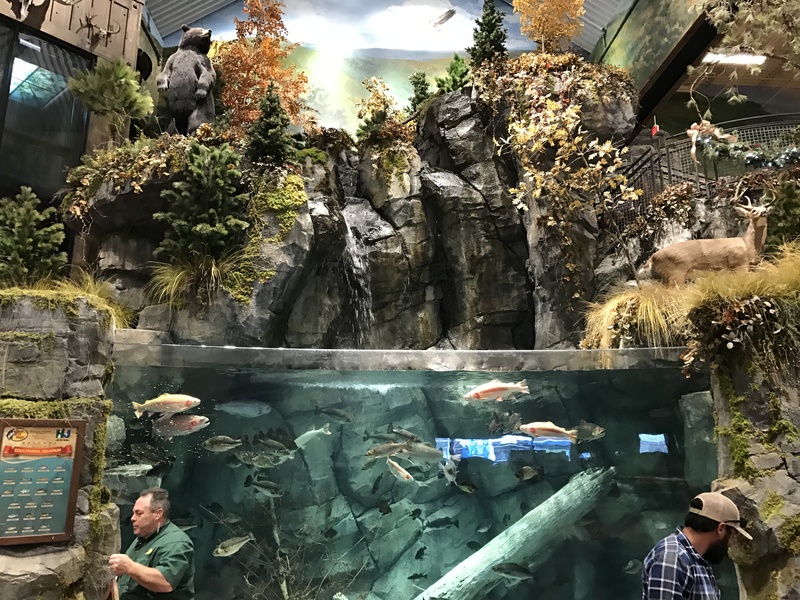 They even have a huge fish tank which my daughter Hanna loved, and as you can see from the picture above this is not your plain old ordinary tank. 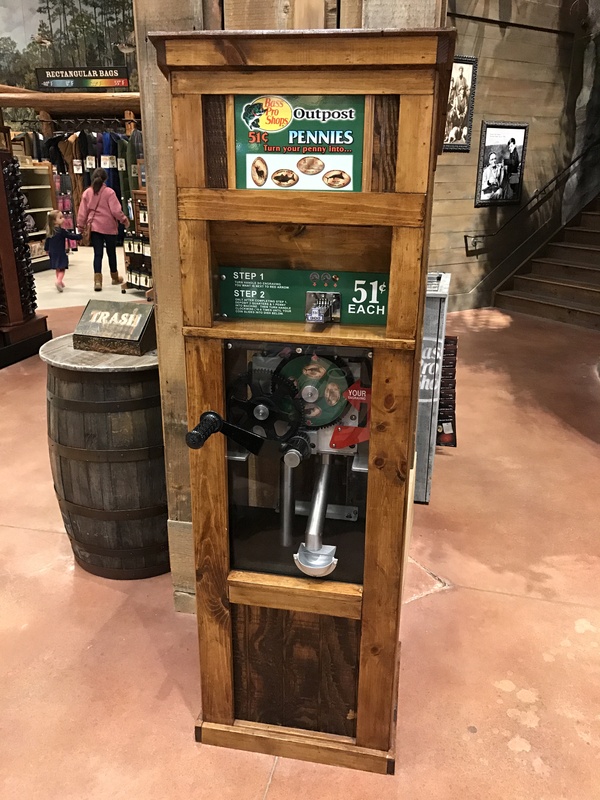 Right next to the fish tank observation area is where I finally came across the penny machine. The set of pennies had images of the Atlantic City Steel Pier, A bass, a large Buck, and a Marlin. These may not actually be what the images are of but that’s my city boy guess. Well it was quite an adventure to finally get a set of these coins but was definitely worth it. 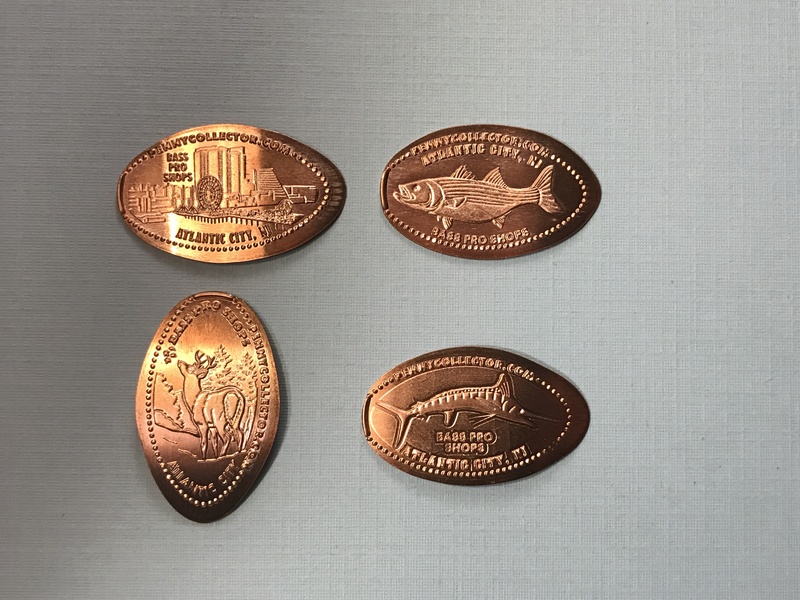 These coins are customized for the city the store is located in and makes for a fun collection all its own.